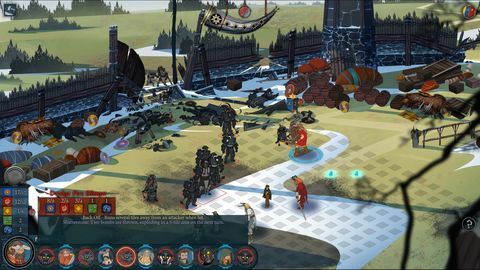 Baz rallies the caravan and sets off in search of a new home in the sequel to Stoic's Viking-inspired RPG, The Banner Saga. It’s a bit cheeky of developer Stoic Studios to present The Banner Saga 2 as a sequel, because in reality it’s really more like an episode. There is generally an expectation that a sequel will develop the series in someway, be it mechanically, visually or in gameplay variation. The Banner Saga 2 slightly tweaks a few aspects of the first game, but in almost every way it is a straight continuation of the first. It picks up exactly where the last game left off, even starting with Chapter 7. To be clear, this isn’t necessarily a bad thing, just a clarification. Considering how great the first game was, in many ways this is great news. The Banner Saga 2 continues your caravan’s trek across the continent, as you flee the encroaching threat of the Dredge from the north. The storytelling is still very powerful, but as the middle game in a trilogy, much of the story feels as if it is simply building towards the events of the third game. Fortunately, the characters and decision making mechanics here remain interesting enough to keep the things engaging. Much of the game's story takes place on an Oregon Trail-inspired trek, and is broken up by tactical turn-based combat confrontations. Periodically you are presented with an story encounter in which you must decide how to proceed, and these decisions have far-reaching effects on your journey, changing the status of your caravan and presenting opportunities to find new items or party members. Decisions are never black and white – their consequences are never quite clear. If you're smart and use information previously presented to you, you can generally make beneficial decisions. However, occasionally, despite your best reasoning, a seemingly benign decision can have drastic consequences. All of your decisions from the first game carry over seamlessly into the second, with your party and items remaining as they were at the end of your playthrough. For those entering the series at this instalment – which isn’t recommended – there is an option to make some decisions at the outset. Though the gameplay loop remains the same as it was in the first game, unfortunately the decisions presented are far less complex. 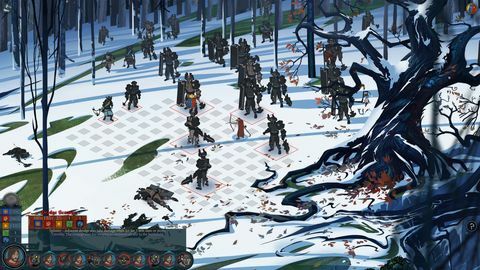 Many decisions in The Banner Saga revolved around unique situations and presented complex moral dilemmas. These situations are rare this time out, most judgements focus on pragmatic decisions around combat and resource management instead. This shift makes sense for the story of The Banner Saga 2, but it makes these sequences markedly less engaging. What continues to improve is the cast. Whether they are in one scene or the entire game, every character feels dynamic and unique, and the interplay between the game’s diverse personalities keeps dialogue consistently fascinating. A clear stand-out is Bolverk the Berserker. As his name implies, Bolverk is a bonafide badass with a refreshingly blunt perspective. Large parts of the game are played with him as leader, and these are easily the best parts of the series so far. His priorities and perspective are so different than those of every other character that playing as him naturally makes these passages feel distinct. Though the mechanics are functionally the same as those in the first game, there have been some positive tweaks. Primarily, the game's economy is much more balanced. Now, renown – earned through combat and beneficial decision making and scarce in the first game – is earned in larger quantities, allowing for easier upgrading and healthier supply stocks. Even so, resource management is an ever-present concern. Combat is also slightly improved through a slightly more diverse enemy set. The first game had a painfully limited number of enemies which resulted in combat growing repetitive very quickly. Though this isn’t entirely remedied by the new enemies, they represent a step in the right direction. 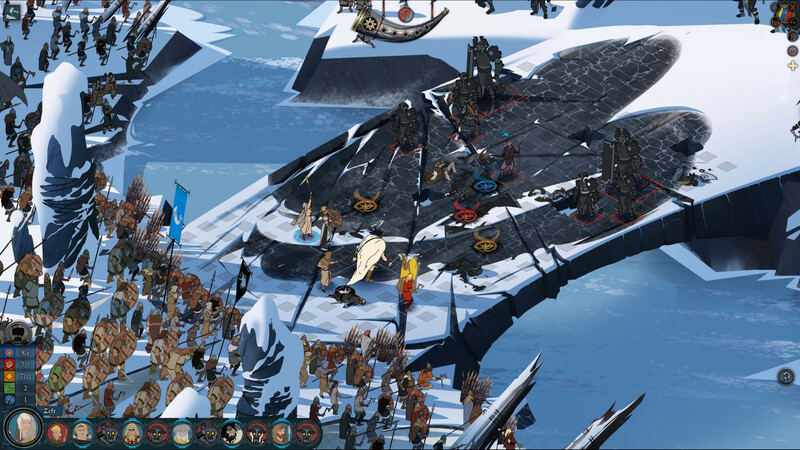 Though functionally little more than an add-on to the original game, The Banner Saga 2 is still a great experience, providing more beautiful art, more fascinating characters, and more thought provoking decision making. Join the exodus. 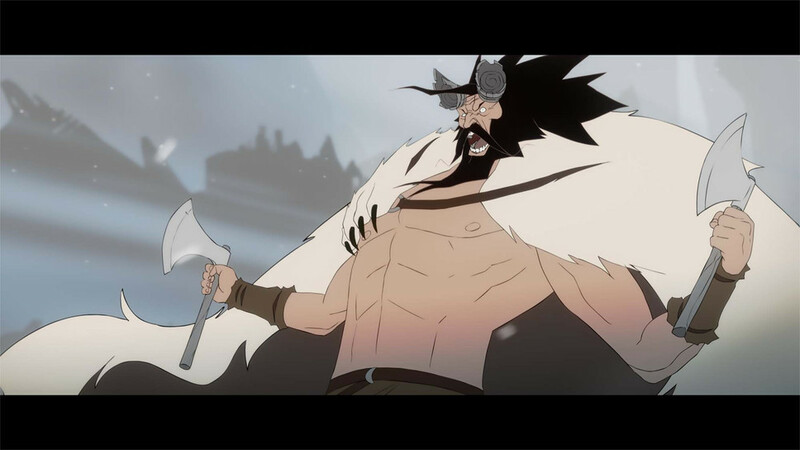 The Banner Saga 2 isn't mechanically distinct from the first game and its story suffers second act syndrome, but it's nonetheless a cracking title that will both satisfy and leave players in desperate need of the trilogy's closing act. Ups Beautiful art. Fascinating characters. More enemies than the first. Downs Marginally less captivating story-wise than the first. Fewer tricky moral quandary to navigate.